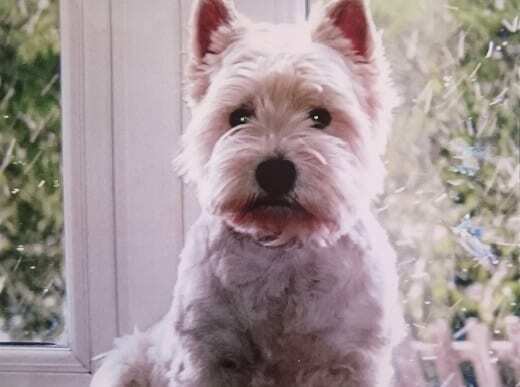 Our Pet Of The Month for April is awarded to Charlie, a 10 year old West Highland Terrier who has been visiting us regularly over the last few weeks. 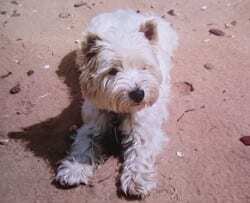 Charlie has a condition called demodectic mange. 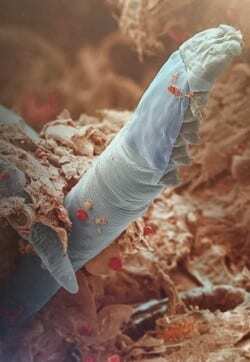 This is caused by a mite called Demodex that lives in the hair follicles of all normal dogs. 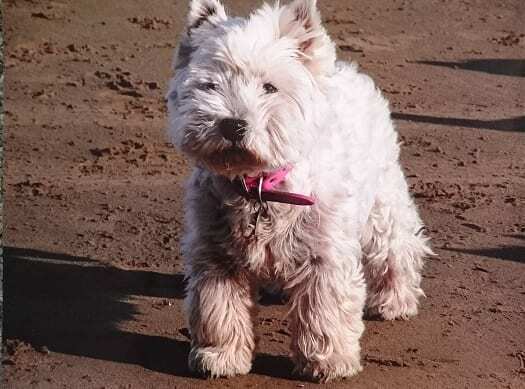 The mites usually cause no problems however in some dogs the immune system is not strong enough to keep the mites under control and they multiply causing the dog to be itchy and their hair starts to fall out. The dog may lick and bite at the skin making it red, sore and scabby and bacteria can enter causing a secondary infection. Commonly Demodex affects the faces and limbs but can involve the whole body. Skin scrapes or skin biopsies are often taken to check for the presence of Demodex. These mites are not infectious to humans or other dogs. Demodex are not visible to the naked eye but can be seen via microscopy. The treatment involves weekly baths for at least 6 weeks using a chemical shampoo called Aludex. This is a procedure that is done by our nurses as the shampoo is very unpleasant and protective clothing must be worn, including face masks and aprons whilst using it. Antibiotics may be given to treat the secondary infection. Charlie has now had a few baths so is very used to being in our hospital! She is doing really well.